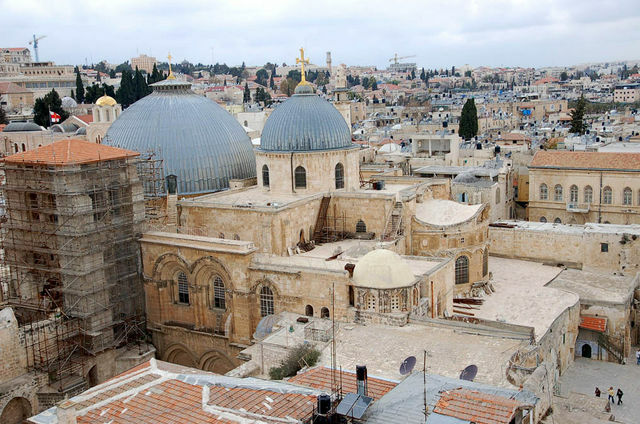 In this stunning in its richness and variety of walking tours you will have the opportunity to see the most important shrines of Christianity within the old city of Jerusalem and its environs. First we visit the holy mountain Zion - the birthplace of the Christian Church with the chamber of the Last Supper and the Church of the Dormition of the Mother of God. You will have the opportunity to walk along the Cross of the Savior -Via Dolorosa. The apogee of the excursion is a visit to the greatest shrine of Christianity - the Church of the Holy Sepulcher in Jerusalem. We will consider in the most detailed and careful manner all the shrines and chapels of this temple, known since the beginning of the IV century. The tour also includes a visit to the Western Wall.